Anduin Wrynn was nothing put a small boy when World of Warcraft first launched. Since then, he has grown up considerably. Heir to the throne of Stormwind and son to King Varian Wrynn; Anduin is a true diplomat. Wise beyond his years, Anduin has even used his skills of persuasion to convince his hot headed father to lay down his arms in the name of peace. However, in Legion Anduin will be tested in ways that he never has before. 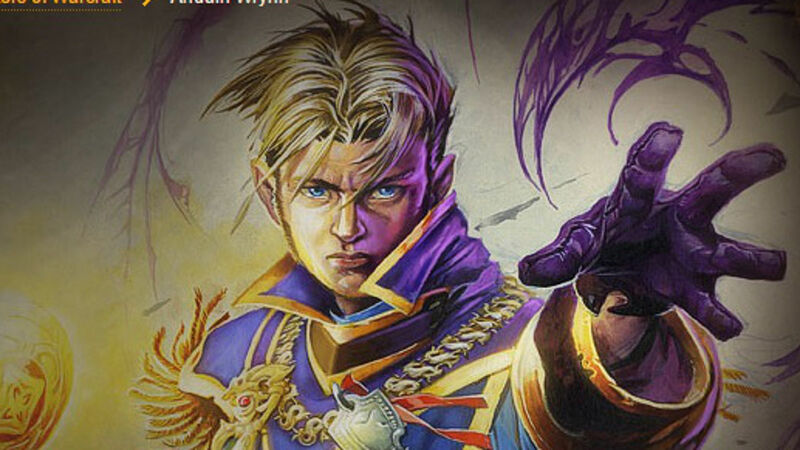 While not confirmed, it seems likely that Anduin will be thrust into the role of King of Stormwind. All of his diplomatic skill will be rendered useless as the Burning Legion stages their invasion of Azeroth. In Legion Anduin will learn what peace really costs and will have to decide if he is willing to pay the hefty bill. Anyone who played in the Burning Crusade expansion will remember Maiev Shadowsong. A legend among the notorious Watchers, Maiev was the tracker and eventual captor of Illidan Stormrage inside the Black Temple in Outland. After capturing Illidan she also captured his many followers; the Illidari and vowed never to allow them to roam free ever again. Despite her success, Maiev admitted that her life was empty without the chase of Illidan. In Legion, Illidan will be freed and his Demon Hunter associates will be welcomed as valuable allies. While we can’t say for sure, we can only assume that Maiev will not take this development well. Her part in Legion remains to be seen, but the release of Illidan and his associates may be the catalyst that sends Maiev over the edge. 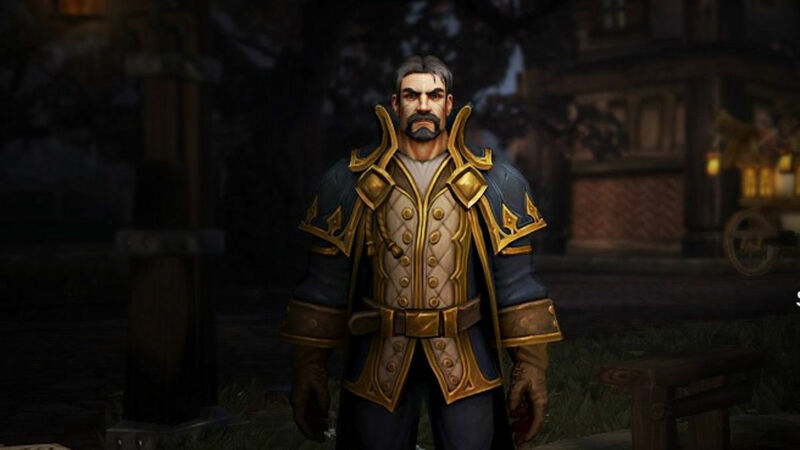 King of the nation and kingdom of Gilneas, Lord Genn Greymane has taken a backseat role since his introduction in Cataclysm. Legion will change all that and bring Genn and perhaps the rest of his Worgen people into the spotlight. Known as arrogant and willful, Genn is filled with a bestial fury that his Worgen nature only intensified and has often been less than totally loyal to his allegiance to the Alliance. Despite this, Genn has always had the best interests of his people at heart, even in his worst moments. With the loss of his son and nation to Sylvanas and her Undead legions, Genn is a changed man. While he now realizes the importance of his allies, he now opposes the Horde more vehemently than ever before. Genn and his people will do whatever they can to reclaim their homeland and they eagerly await the day they can drive out the Forsaken. A showdown between Genn and Sylvanas seems almost inevitable. Khadgar has played a big part in Warlords of Draenor and it seems he will continue to play a significant role in Legion. One of the most powerful wizards that has ever lived; Khadgar has often had a hand in world events. Despite his power, he was to stop Gul’dan from opening the Tomb of Sargeras and the Burning Legion is now flooding into Azeroth. Now this formidable magic user is prepared to do whatever it takes to stop the tide of darkness from covering our world. However, with the Horde and Alliance more mistrustful of each other than ever before, they may choose to risk destruction rather than work together. Pulling together the needed forces to combat the Burning Legion may prove to be an impossible task; even for one as formidable as Khadgar. Formly an Orcish Shaman of the Shadowmoon Clan; we got up close and personal with Gul’dan in Warlords of Draenor. This scheming Orc attempted to enslave the rest of his race to the demons of the Burning Legion. 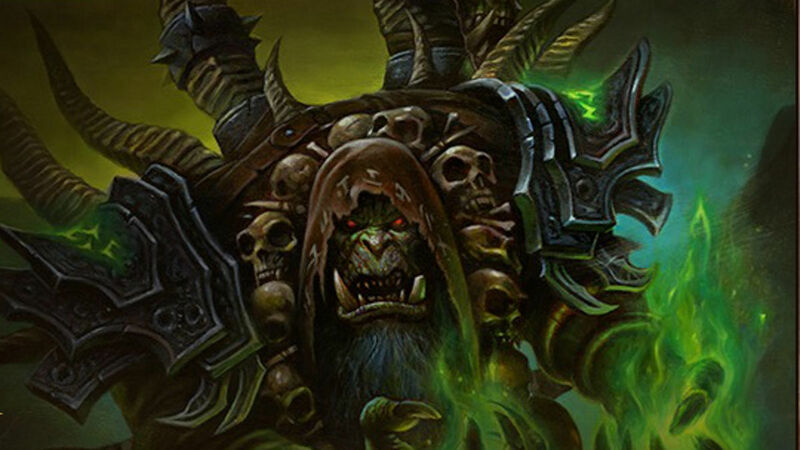 While his plans ultimately failed, Gul’dan was far from undone. As the heroes of the Horde and Alliance defeated his forces, Gul’dan escaped through the Dark Portal. Now the Warlock has unleashed hell upon Azeroth. Having opened a portal that has allowed for a giant invasion of the Burning Legion; Gul’dan has set his sights on the destruction of our world. To ever achieve the peace we seek, it is likely that this foe will need to be defeated once and for all. For those not familiar with Xavius, he was once a powerful user of magic and the high councilor to Queen Azshara during the War of the Ancients. Long considered to be the reason for the Burning Legion’s interest in Azeroth; Xavius lost favor with Sargeras and as punishment was turned into a satyr. With this new form Xavius terrorized the world with an affliction that almost obliterated the walls between reality and the Emerald Dream. Of course, his plans were thwarted, however, he was not destroyed. Now Xavius is back with a vengeance. Determined to prove his worth he leads the conquest of Val’sharah where the tainted world tree Shaladrassil spreads the Emerald Nightmare’s corruption. This satyrs success could lead to the Burning Legion’s triumph and the eventual destruction of our world. Who doesn’t love Sylvanas? Once a Blood Elf, now the leader of the Forsaken; Sylvanas loyalties have always seemed to lie with herself first and the Horde second. 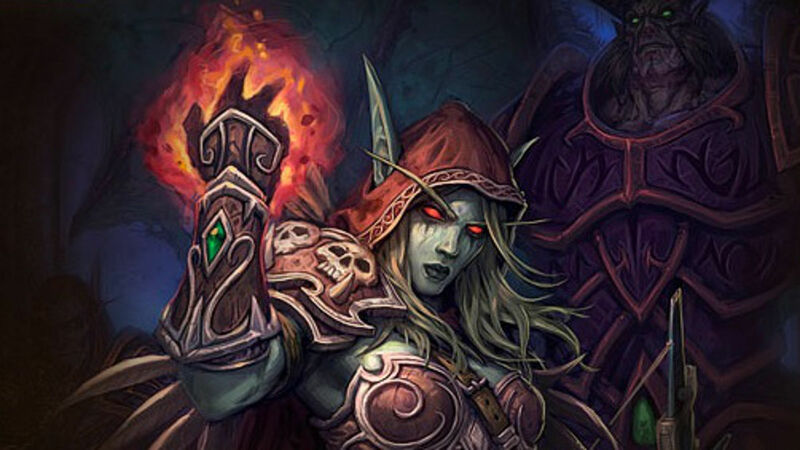 While Sylvanas was largely missing in Warlords of Draenor, that is set to change. In Legion the Dark Lady will play a vital role in the events that will transpire upon our world. With enemies on all sides, the fate of Sylvanas is uncertain. With eternal damnation the consequence for failure, the stakes are high for this character in Legion. In this expansion Sylvanas will have to make some difficult decisions, including how far she is willing to go to protect her own people. Captured in the Black Temple in the Burning Crusade expansion, Illidan Stormrage was supposedly struck down by Maiev Shadowsong. Despite his seeming misdeeds, Illidan has always been a fan favorite and many of us have longed for his return. Now in Legion we will be seeing this beloved character again. With the Burning Legion on our doorstep, the peoples of Azeroth need all the help they can get. Despite his potential wrath, we will seek out Illidan (who has been restored to life) and beg for his assistance against the dark tide that threatens to overwhelm us. However, who Illidan will ultimately choose to serve and what the consequences will be for his entrapment remain to be seen.